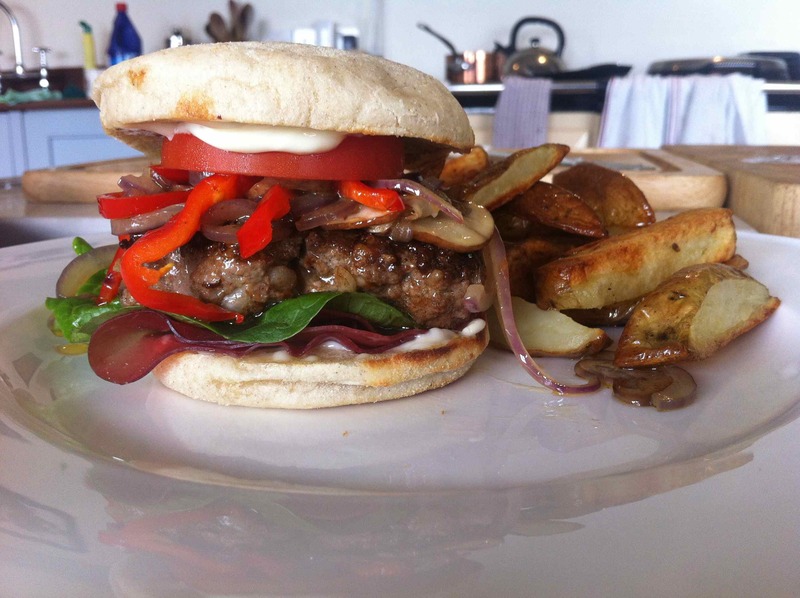 We’ve had a spate of burger making recently. 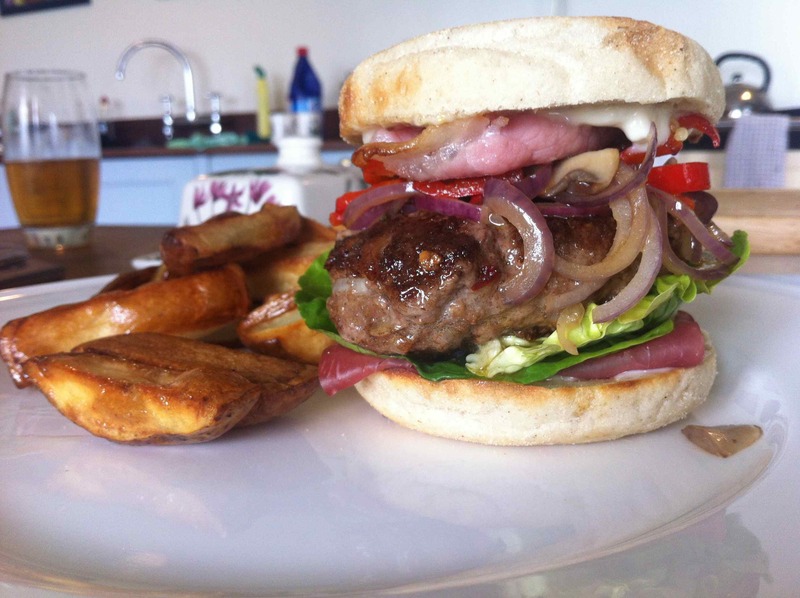 I can’t remember the last time we bought an actual burger, it would be some considerable time ago and lately the only ones we’ve bought are the venison ones our local butcher makes on the premises. Burgers are one of our few ‘fast foods’ not that any of our food is very fast really. We both believe in food being enjoyed and savoured and that includes the making time too, so I’d guess we’re more in the ‘slow food’ bracket. Ideally we’d start from scratch with beef and put it through the mincer to get minced beef, because we prefer to know exactly what is going in to our food. But if you want to use ready bought mince then do so. 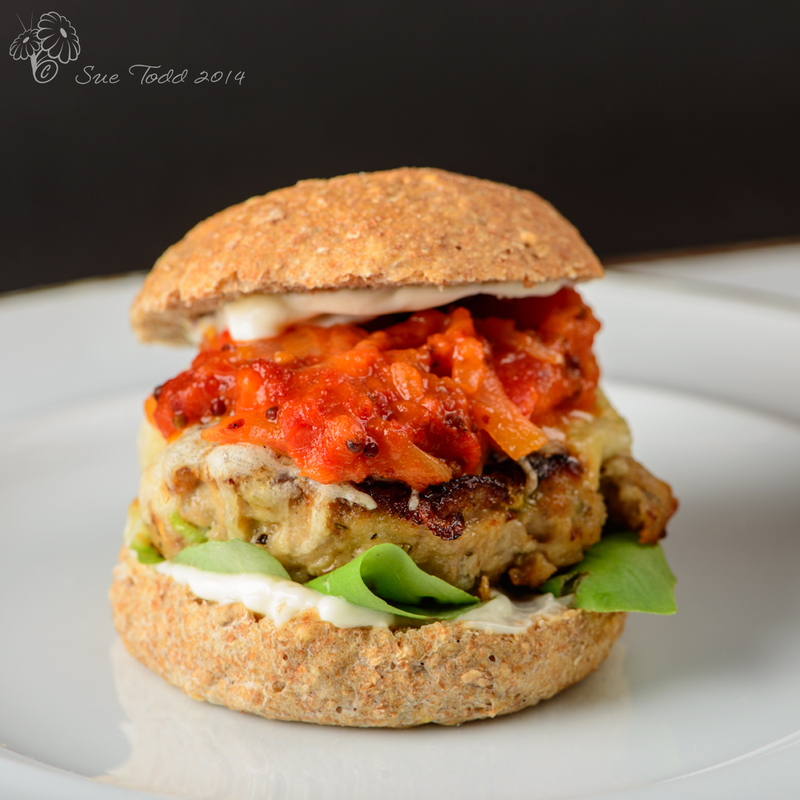 We used oats in this recipe instead of breadcrumbs to help bring the burger together, however, a handful of seeds such as pumpkin and/or sunflower seeds blitzed in the food processor to break them down slightly could work just as well and give you a grain free burger. Mix everything together in a large bowl and then divide into two, four or even six burgers, depending on how hungry or how big you like your burgers. If you have a mincer, you can whack the whole lot through a mincer after mixing it together. This will improve the consistency of the burger but it’s not essential. Now either fry in olive oil until cooked, or alternatively pop them on a baking oven and stick them in a hot oven. We’d use the roasting oven on the AGA, not entirely sure what this is for a conventional oven but somewhere around 240/475 or Gas 8.
suggestions as given below for three slightly different stacks. Serve with home made chips and a big napkin because you’re going to get messy. To produce a primal/paleo version omit the muffins for serving and use portobello mushrooms instead. The mushroom version is lovely and next time we have them that way I’ll take a photograph. 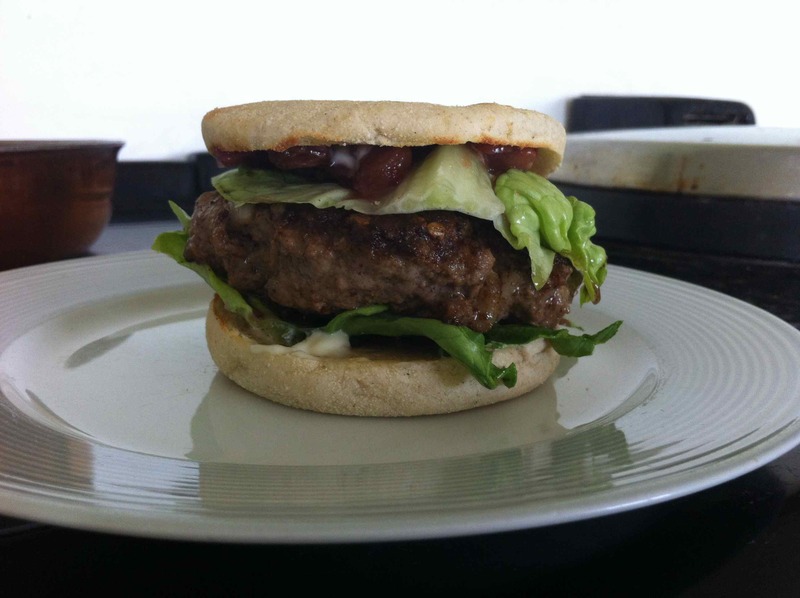 This entry was posted in Meals, Recipes and tagged Burger, Gluten Free, Grain Free on September 23, 2014 by Sue Todd.